What country are you most excited for? Coley: Thailand! I’m a sucker for markets. So just the fact that we’re going to a floating market, flower market, and street markets? SOLD! Kim: Well obviously I’m excited for each country for different reasons, but if I HAD to pick one I’d say New Zealand because the scenery will be unbelievable and we have some pretty crazy adventures planned. Thailand is definitely a close second because it will be completely unlike anywhere I’ve ever been before. What are your pet peeves of other travelers? Coley: Living up to the “American travler” stereotype. For example: expecting everyone to speak English, being loud and obnoxious, high maintenance, etc. Kim: Ughhh I cannot stand travelers who don’t appreciate culture or who are culturally insensitive. I just don’t see the point in going halfway around the world so you can just do everything exactly the same as at home. 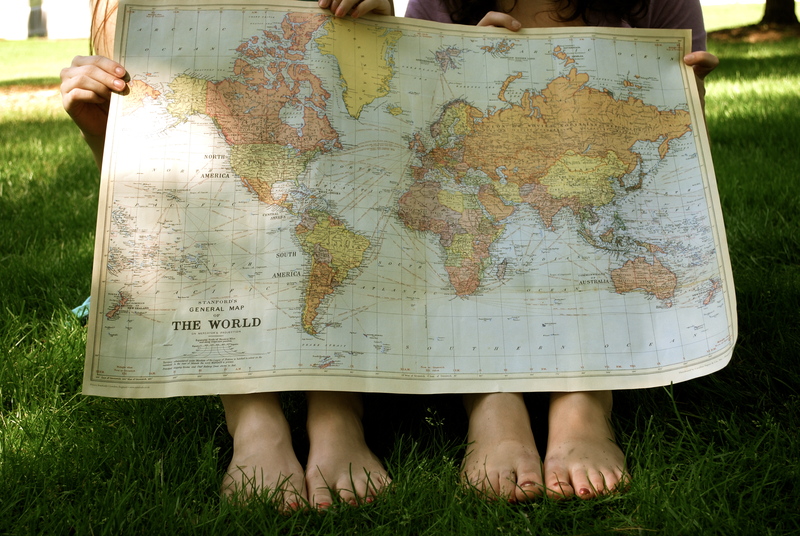 What qualities make a good travel partner? Coley: Kimmy Kimmy Cocoa Puff is a real go-getter. She is super adventurous and delightfully hilarious. Kim: Coley Ravioli will be great because she’s pretty go-with-the-flow, has an uncanny ability sleep almost anywhere, and knows how to have a good time. Do you think something will go wrong? Coley: More than likely, but every misadventure is part of the experience. Kim: Yes. That’s half the fun though right? What is your favorite international dessert? Coley: I’m a big fan of gelato, but since we’ll be quite a ways from Italy, I’m looking forward to trying pavlova! Kim: I loved pavlova and Tim Tams from Australia. Also, I hear New Zealand has this awesome ice cream called Hokey Pokey, so I’m really looking forward to trying that. Coley: To hear? English. To impersonate? Southern. Coley: Low maintenance. Eager to learn. Ready to have a good time. Kim: Organized but spontaneous at the same time. I try to do as much as I possibly can in the time that I have. I’d much rather go out, explore, and have an adventure than lay on the beach and relax. What are 3 things you couldn’t leave home without? If you could choose a celebrity to travel with, who would it be? Kim: Umm…does Jim from The Office count? What’s the weirdest thing you’ve ever eaten!? What’s your favorite place you’ve been so far? Coley: Innsbruck, Austria. It’s simply charming. Kim: Melbourne, Australia is the perfect city in my opinion. I’m really excited we’ll be going back to spend 5 days in Melbourne so I can really explore it more. Ask me again after this trip and we’ll see if my answer changes. What are you going to miss most about home? Coley: My whole family! My nephew will be turning 1 in July, so I’ll be missing his birthday. Kim: Hands down, Cinnamon Toast Crunch…a childhood favorite. 3 things you’re planning to cross off your bucket this list summer? Posted on June 20, 2011, in Destinations, Pre-departure and tagged adventures, australia, backpacking, bucket list, Coley Nelson, Kim Pitingolo, laos, life list, meet, meet the feet, new zealand, thailand, Travel. Bookmark the permalink. Leave a comment.